This is probably one of my longest ever works in progress. 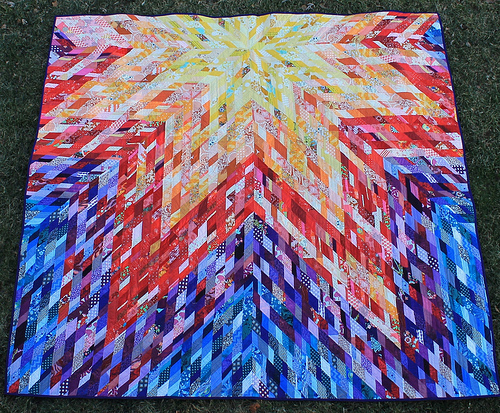 I actually finished it in early December, but just now got around to taking pictures of it, and then deciding to actually blog about it. It was part of my goal to finish by the end of 2014 as part of the Finish Along and I’m so glad to have it off the WIP shelf. 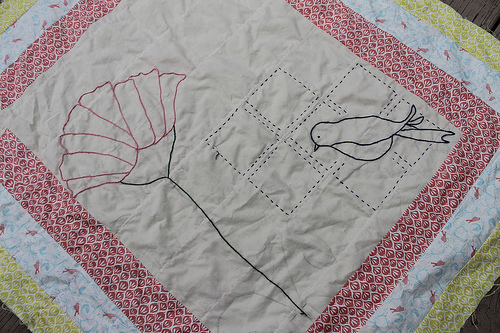 One reason it took so long is I wanted to quilt it with feathers, and I didn’t know how to do feathers! 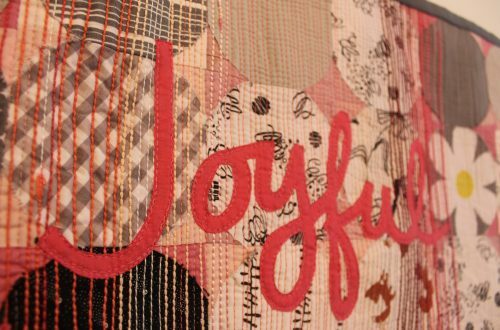 I have gotten better at free motion quilting since I pieced this top in 2012 – and better at quilting in general (I couldn’t believe some of the mistakes I left in this, I must have been in a very bad mood when finishing the top! ), but I was actually kind of out of practice when I finally basted this. 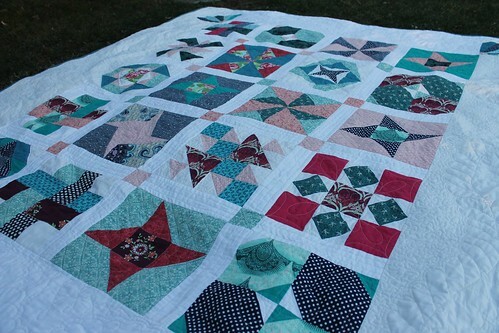 It was very ripply, but most of the puckers from the sloppy piecing quilted out. 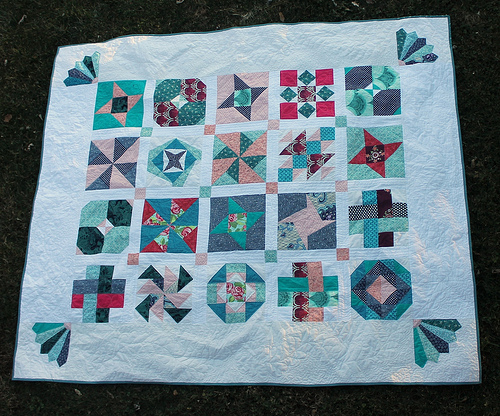 It’s my first time doing custom quilting on all the different blocks. 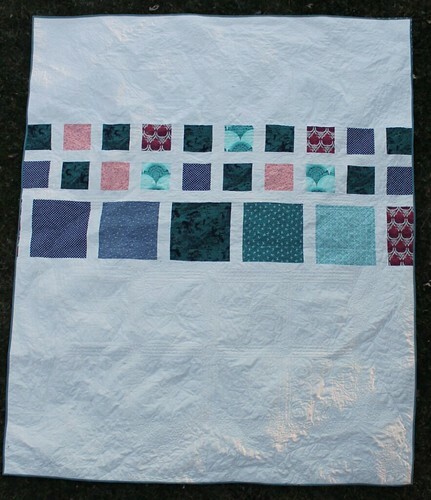 It was a fun process to look at each block and think of a quilting process that would suit it. I definitely got faster and better as I worked my way through the blocks. 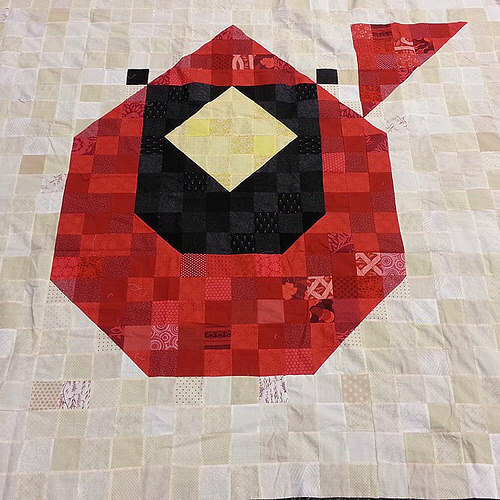 I did straightline quilting in the sashing. 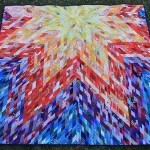 All the quilting is in Gutermann off white thread. 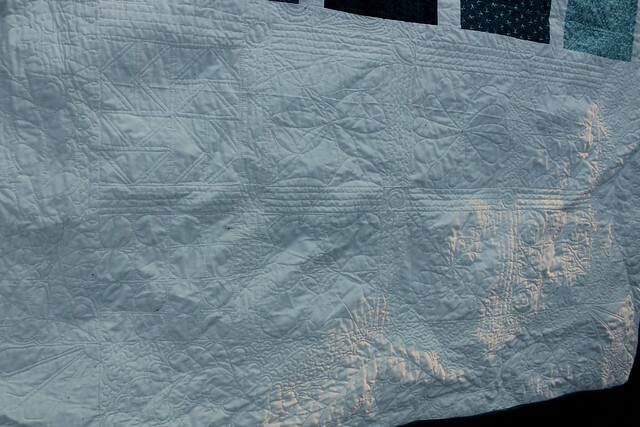 I used a mix of cream and white for the front (which I like that effect in scrappy quilts, but again, what was I thinking in this one?) and I thought the cream would help it all blend. You know how when you first finish a project, all you can see is the mistakes? 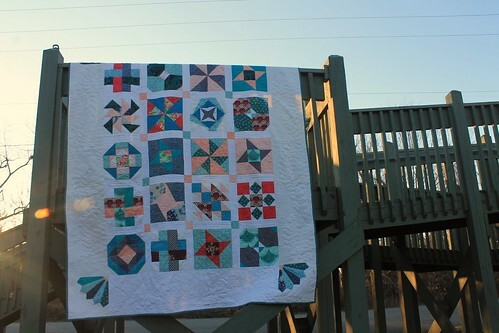 That is wearing off on me, this quilt is growing on me. I even put it on the bed for a few days, but it was too summery for my winter mood. Here is my original post from where I finished the top! The back is a little strange. Another “What was I thinking?” when I pulled this off the shelf it had been literally sitting on for two years. But I didn’t care enough to re-do the work! Let’s be honest, it’s the back. I took it for a walk at the little wetlands research area by my house. They have a lookout tower where you can go to spy on the ducks. 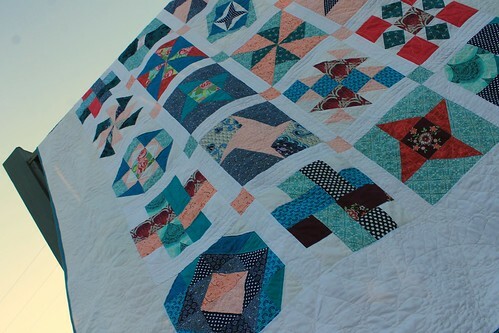 I thought it would be a good location to get some shots of this queen sized quilt from above. Because it’s winter though, the sun started to set by the time I got there!